a musical director, composer, arranger and producer. Mike graduated with a Masters in Music Performance from the Guildhall School of Music, where he performed with Hermeto Pascoal, Django Bates, and Billy Cobham. He now has over 15 years experience as a performer, musical director, composer and arranger. 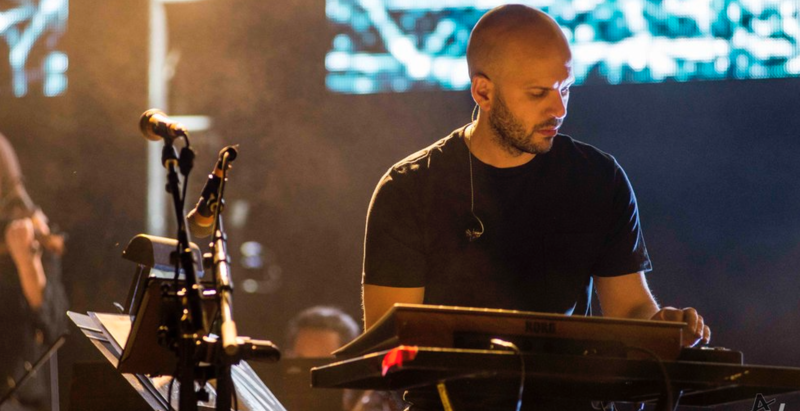 Credits include travelling the world as musical director, arranger and musician for Bonobo, George FitzGerald and Top-10 artist Andreya Triana; performing with Jamie Cullum, Vanessa-Mae, Kim Wilde and Tim Minchin; recording on singles by Cee Lo, Sam Smith and Craig David; performing to tens of millions of viewers at the London 2012 Olympic Closing Ceremony (with Madness and One Direction); supporting Beyonce and Chris Brown on tour; arranging for and conducting the Pacific Symphony Orchestra in Los Angeles and Colorado Symphony Orchestra in Denver; and appearing on-stage in London’s West End theatres. Mike is an extremely experienced performer on all saxophones (soprano, alto, tenor and baritone), flute, clarinet, bass clarinet and keyboards; is an excellent sight-reader; and is an experienced programmer in Ableton Live, Logic and Mainstage. He runs his own horn section, the Killer Horns. Mike works as a producer/composer for film, TV, radio and advertising, regularly working with major production music labels (Ninja Tune, Extreme Music, Cavendish). He has composed and recorded TV theme music for Sky TV, and his production music has been used extensively for TV and radio in shows like Family Guy, Good Morning America, Jimmy Kimmel Live, Saturday Night Live and The Big Bang Theory, as well as countless other shows in the UK, US, South Korea, Spain, Germany, France and Australia. Mike contributed arrangements and performances to 2 albums nominated for a GRAMMY in 2018: Best Dance/Electronic Album for Migration by Bonobo and Best Reggae Album for Chronology by Chronixx. Mike played woodwinds and recorded strings on the new Lapalux album Ruinism. The video for single Data Demon is below, with Mike on clarinet and bass clarinet. Migration, the new album from Bonobo, is out on 13th January 2017. Listen To Break Apart featuring Rhye below, with Mike on clarinet and bass clarinet. Mike recorded horns on Jamie Woon’s album Making Time which has recently been nominated for a Mercury Music Prize! Mike featured with the Jamie Cullum Big Band for a series of gigs this summer – watch a clip of You And Me Are Gone from Stuttgart below. The new CD from Brainfeeder producer Lapalux features Mike’s keys and sax playing on a track called Puzzle – listen to a live session for BBC Radio 1 at Maida Vale Studios below. The new CD and DVD from Bonobo, The North Borders Live, is out now. Watch Kiara from Pula Amphitheatre below, featuring Mike’s string arrangements and sax playing. Mike had the privilege of playing a concert with Bonobo and Erykah Badu in San Francisco in April. Check out some video from the show below. The new Bonobo single ‘First Fires’, featuring string arrangements by Mike, has just been released. Video below.